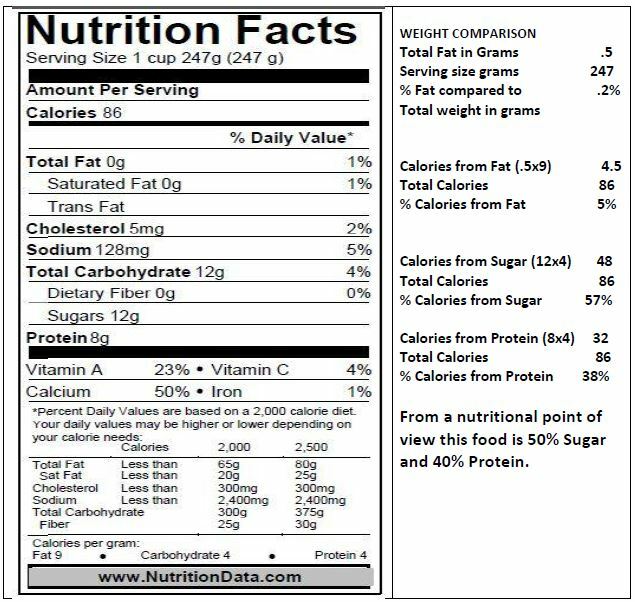 Skim Milk is 5% Fat and 57% Sugar. So what? Posted on November 30, 2014 by Health and Food MattersPosted in ArticlesTagged Dairy. Previous Previous post: Whole Milk is 50% Fat and 35% Sugar. So What?